The 6th International Fair Trade Towns Campaign Conference will take place in Poznan (Poland) from 10 - 11 November 2012, under the patronage of the United Nations Development Programme (UNDP) Office in Poland. More than 150 local authority representatives from cities such as Hanover (Germany), Litomierice (Czech-Republic), Kuamoto (Japan), and Pacos des Calades (Brazil), have already registered to attend, along with other Fair Trade actors. As Fair Trade Towns develop in Asia and the Global South, this conference will explore how we can maximise the potential of Fair Trade Towns to promote Fair Trade and Trade Justice internationally. This year’s conference is of special importance for a young Fair Trade movement in Poland. At a formal ceremony on 10 November, in the presence of the mayor of Poznan, the city will be proclaimed the first Polish local authority having reached the “Fair Trade Town” status. In the meantime, the city of Gdansk is closely following and already working to gain “Fair Trade Town” status of its own. This conference will also see the launch of the “Fair Trade beyond 2015” campaign, aimed at garnering support to multi-stakeholder partnerships for Fair Trade and Trade Justice in the post-2015 global development framework. Those interested in registering for the conference can do so online. For question on the conference, contact Tadeusz Makulski (tadeusz.makulski@sprawiedliwyhandel.pl) of the Polish Fair Trade Association. The ISEAL Alliance, the global association for sustainability standards, will hold a one day workshop on 30 October 2012 in London (United Kingdom) to unveil the findings of recently conducted research into sustainable public procurement globally. The workshop will also explore the barriers and opportunities that public procurement officials face when using sustainability standards to guide their purchasing decisions. Through the workshop, participants will gain an insight into ISEAL's work to better understand the state of sustainable public procurement globally and discuss how standards can play an increased role, with a focus on innovative tools and strategies. As well as the presentation of the research report, case studies of how sustainability standards are being implemented will be examined. Supporting key procurement stakeholders to more readily use credible standards will also be discussed. ICLEI Europe’s Ignacio Giménez will present at the workshop, along with representatives from Transport for London, Pianoo, ClientEarth and more. The workshop is open to businesses, NGOs, standard-setters, governments, researchers and anyone involved in the standards or procurement sectors. 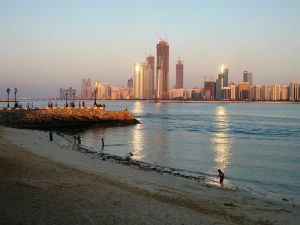 The application of sustainable procurement is seeing a surge in Abu Dhabi (United Arab Emirates), as many government and private organisations aim to cut energy consumption and lower emissions. Sustainable procurement is a flagship programme of Abu Dhabi Sustainability Group (ADSG) which comprises government and private organisations. The programme encourages organisations to adopt a sustainable procurement policy which benefits not only the organisations but society as well, by minimising environmental impact. The programme focuses on sustainable procurement in transport, waste management, buildings and infrastructure. Over 30 organisations in the city, from government bodies to businesses and NGOs, have embraced the concept. Sustainable procurement is seen as a major contribution to the implementation of Abu Dhabi’s Environment Vision 2030, which encompasses goals to protect the environment by improving resource efficiency and promoting sustainable lifestyles. To meet its sustainability goals, the government of Abu Dhabi favours a mixture of legislation and awareness raising, leading to voluntary actions. "[The uptake in sustainable procurement] proves that voluntary action prompted by awareness can really make changes on the ground level without any legislations to make mandatory steps to practice sustainability,” said Huda Al Houqani, Director of Abu Dhabi Sustainability Group. EcoProcura 2012 saw the launch of the LANDMARK project Multimedia Exhibition, which looks at how social responsibility can be achieved throughout public sector supply chains with a focus on how to verify supplier compliance. A DVD featuring animations and interviews with procurers familiar with verification schemes and other key stakeholders working on SRPP was shown, along with an interactive exhibit that invited visitors to explore issues and solutions surrounding the procurement of various high-risk product groups such as construction materials, food and textiles. Using touch screens, users could virtually view problems surrounding various supply chains, find out what public authorities can do to tackle these challenges, and see information on key actors working on these specific areas that may be contacted for assistance. The LANDMARK project aims to enable European local authorities to improve working conditions in supply chains through responsible public procurement. The exhibition will be in Spain in the coming months, from November - December in Barcelona, January - February in San Boi,and San Quirze in March. Additional venues in Spain may be requested during this time period, interested parties are requested to contact Martina Hooper from SETEM at mhooper@setem.org. The exhibition will then travel across Europe until March 2014, and is available in English, Catalan, German, Portuguese and Spanish. 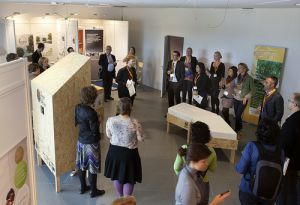 If you would like to book the Multimedia Exhibition for your organisation anywhere in Europe, please contact Philipp Tepper at philipp.tepper@iclei.org. 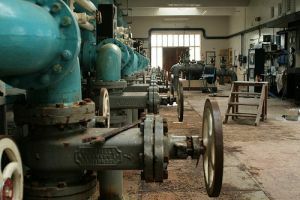 Interested stakeholders are invited to contribute to a European Commission document proposing green public procurement (GPP) criteria for the tendering of waste water infrastructure works. The draft criteria and accompanying technical background report are in public consultation until 14 December 2012, with the Commission intending to publish the final criteria in early 2013. The criteria are seen as an important means to make wastewater infrastructure more sustainable, and to ensure that investment and procurement practices are in line with the Europe 2020 strategy. The development of GPP Criteria for Wastewater Infrastructure aims to provide authorities with guidance to meet environmental legal requirements, as well as information about effective technological alternatives and best practice case studies. Stakeholders from Member States' national, regional and local authorities, contracting authorities, companies and business associations, suppliers, SMEs, researchers, and civil society are the public consultation target group. The criteria are being developed by the European Commission body DG for Regional policy, in cooperation with DG Environment. Since January 2010, the European Commission has developed examples of GPP in practice to illustrate how European public authorities have successfully launched ‘green’ tenders. The examples illustrate the purchasing of a range of product categories across Europe and provide guidance for others who wish to do the same. The new “GPP brochure of good practice examples” presents some of the most interesting examples collected over the years. It highlights actions that have been undertaken by public authorities to implement GPP in public contracts. Varied in scope, the case studies topics range from organic food procurement in schools to purchasing sustainable uniforms for the military. The brochure is available free of charge from the GPP website. Buying Green!, the European Commission’s main guidance document to help public authorities buy goods and services with a lower environmental impact, is now available in 22 languages. The document contains guidance on how environmental considerations can be included at each stage of the procurement process, and provides sector-specific GPP approaches for buildings, food and catering services, electricity and timber, and more. 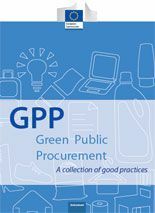 To view the GPP brochure of good practice examples, click here. To view the Buying Green! Handbook, click here. The European Parliament is supporting the European Commission’s ambitious energy efficiency directive, which sets member states the target of improving energy efficiency by 20 percent across the board by 2020. 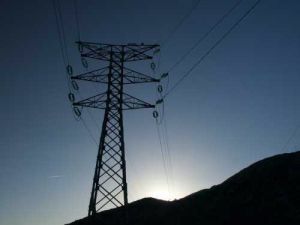 The law comes as part of an energy package negotiated in 2007, which includes a target of a 20 percent increase in renewable energies and a 20 percent decline in CO2 emissions. The directive also has serious implications for public procurement. Under the directive energy companies are requested to reduce their energy sales to industrial and household clients by at least 1.5 percent each year and each EU member state is obliged to draw up a roadmap to make the entire buildings sector more energy efficient by 2050 (commercial, public and private households included). Member states must present their overall national efficiency programmes to the Commission by April 2013 for evaluation. Member states did not agree on a binding target, but instead agreed on an indicative target of 20 percent energy savings and to binding measures. As the target is not binding, the increase in energy efficiency is expected to land at 15 percent. To compensate for the shortfall, car fuel efficiency regulation and standards for products such as boilers will be revised under the Ecodesign directive. 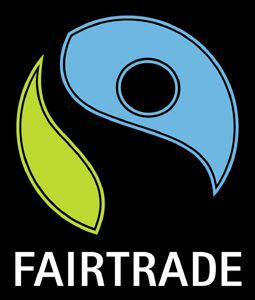 Recent sales figures suggest a marked growth in the number of Fairtrade certified products being purchased in both Germany and the United Kingdom. In 2011, £1.3bn worth of Fairtrade certified goods were sold in the UK and already in 2012 German consumers have bought around 250 million Euro worth of Fairtrade products. In total Fairtrade has seen an increase in turnover of 35 percent in the first half of 2012 compared to the first half of 2011. The highest growth areas are coffee, flowers and bananas, with Fairtrade roses increasing the most substantially. The sales of Fairtrade bananas rose by around 53 percent to 8,200 tonnes and the sales of coffee increased by nine percent. "The economic success is the consumer’s anniversary gift to the producer’s organisations in Africa, Asia and Latin America," said Dieter Overath, manager of Fairtrade Germany. Harriet Lamb, head of the Fairtrade foundation, puts the increase in sales down to the “public [caring] deeply about what they buy” and a greater understanding by companies that “being ethical is good for them too”. In Switzerland nearly 20,000 people have signed on open letter expressing their desire to see improved conditions for overseas workers who produce uniforms for Switzerland’s public enterprises. The letter was delivered to the Swiss parliament and intended to influence legislation.